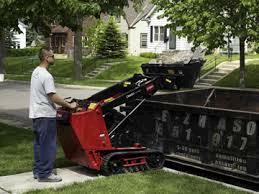 The Toro Dingo is a walk behind mini skid steer. 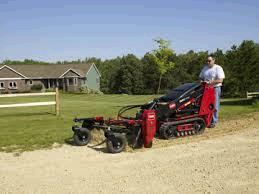 It possess the versatility to handle countless jobs on every site: dig, haul, plant and build. 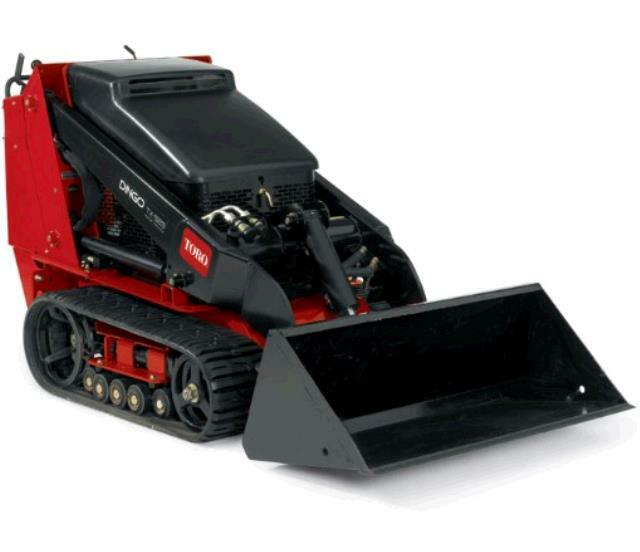 The TX427 Narrow track design provides a very low 5.1 psi ground pressure which is easy on turf.The Dingo is designed with workers in mind, all of its power is harnessed in 3 easy to use controls, which make it a breeze for any worker to step up and be productive immediately! Tip Capacity - 1530 lbs. Ground Speed - 0-4.0 mph fwd, 1-2 mph rev. Hinge Pin Height - 65.8"
*Daily rates reflect the use of a bucket only. Other attachments would be an additional rental. * Please call us for any questions on our dingo tx427 rentals in Toledo OH and Perrysburg OH, serving the Toledo metro area.